To maximize your full potential in the golf swing, you must have the ability to take your joints and muscles through their full range of motion. Performing exercises that focus on muscles that are chronically tight will help your become more efficient in your golf swing. Having tight or overly developed pectorals and latissimus (chest and back) muscles can affect how your shoulders work in the golf swing. The tight and overly developed muscles tend to dominate the arm movement in the golf swing, restricting how well your shoulders can turn which can lead to swing compensations and even injury. 1. Extend your arms long as you assume a golf stance. 2. Your arms hang down as if you had a golf club in your hands. 3. Swing your arm back to open up your chest and feel a stretch in your upper back. Go only as far back as you feel comfortable. Repeat on the opposite arm. 4. Return to the start position and repeat alternating arms for 10 to 15 repetitions. This exercise can be down before or after a round of golf. Cardiogolf, is a program designed to give you a battery of exercises to improve your body movement and swing technique. By consistently, repeating golf swing exercises without the judgement of where the ball is going, you can accelerate your improvement on the golf course. 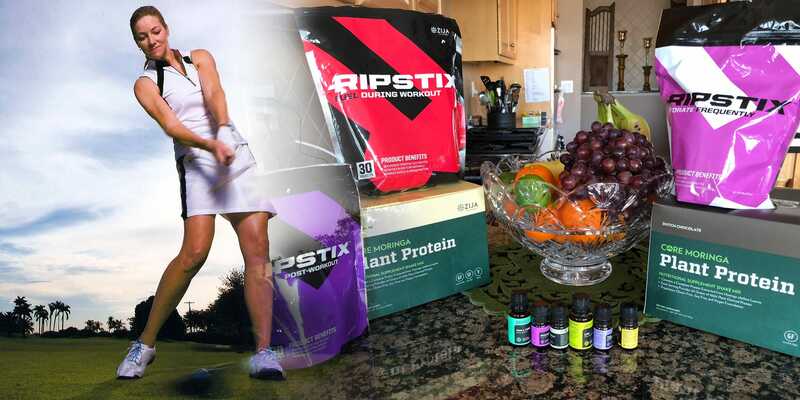 Professional golfers know the importance of athletic development for golf. As a recreational, you may not have the time to train like an elite athlete, but by simply adding a few swing drills into your daily routine, you can dramatically improve your game. And you don’t have to go to the golf course or driving range, you can do these exercises at home. 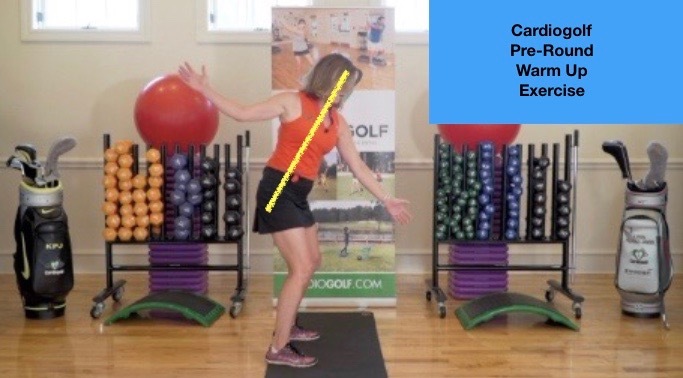 Use the Cardiogolf Shortee Training Club and Slope to improve your golf and fitness. Great for indoor swing training and off-season conditioning.